More students than ever are accessing health support services on campus — but not all groups are reaching out equally. During the 2017 fall midterm season, UBC’s Wellness Centre saw 774 total visitors and 643 total interactions. In the same period the following year, those numbers jumped to 920 visits and 781 interactions — an increase of approximately 20 per cent. From 2017 to 2018, the Wellness Centre’s peer conversation program similarly saw a 24 per cent increase in usage. The number of these conversations lasting longer than 10 minutes more than doubled and the number of visits related to mental health tripled. According to Washburn, the services have doubled the number of counsellors and expanded the “range and access of resources available to students” in recent years. “We are always looking to improve,” Washburn said. But there are clear patterns that show unequal usage of these services: domestic students utilize Student Health Services (SHS) at more than twice the rate of international students, and female students use SHS roughly 50 per cent more than their male counterparts. SHS Director Dr. Marna Nelson agreed. Nationwide data from Statistics Canada shows that in 2009, 89 per cent of women aged 12 and older had a regular physician compared to 81 per cent of men. “The largest gender gap in this regard was in the 20-to-34 age group, in which 81% of women had a regular medical doctor versus only 67% of men,” Statistics Canada reported. This trend could present an issue for student health on campus, particularly for men. “For reproductive age groups, women should be going more often than men to the doctor,” Nelson said, “... but there are also male-related illnesses that are prominent and need to be addressed, and we’re not seeing enough male patients. Nelson says international students might be accessing care off campus, such as at clinics in the city. 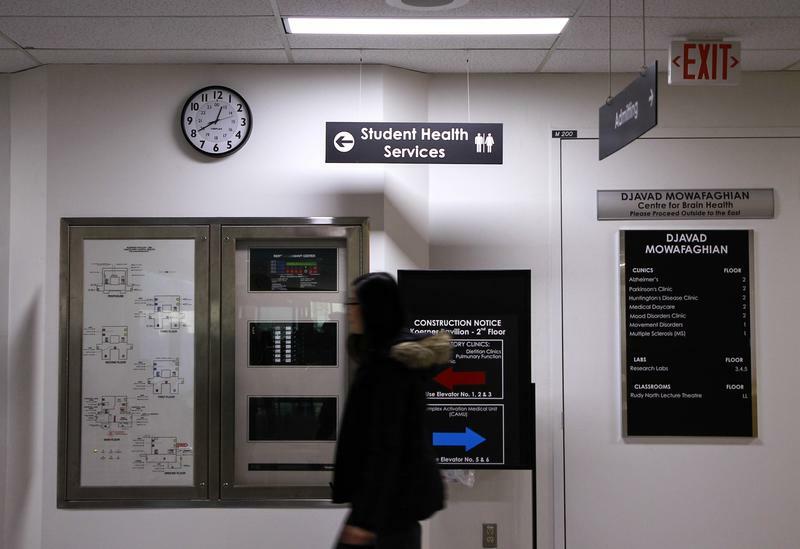 She also suggested that international students may be using UBC Urgent Care for regular visits rather than Student Health Services, but the data on this is difficult to parse. “That’s a big question: are international students going to Urgent Care or other clinics [to access care] rather than coming here? Or are international students just not getting enough care?” she said. But questions like this are challenging to answer due to the confidentiality of relevant information and the fact that SHS has only recently started to keep detailed records of patients’ citizenship.